R.A., a 76 year old Russian woman, and World War II survivor, was spending time at Berkshire Hills Emanuel Camp/Adult Vacation Center. A large storm was approaching, and as common practice for the camp, they shut down all electricity. The camp would usually provide patrons with candles, but on this night did not. R.A. awoke from her sleep to use the restroom, and in the darkness, tripped and fell over a rug. As a result of her trip and fall on the bathroom rug, R.A. suffered a fracture of the left wrist. A.G., a young Brooklyn woman who was celebrating at a baby shower with friends in Queens, was hit by a car after leaving the event with two friends she met there. 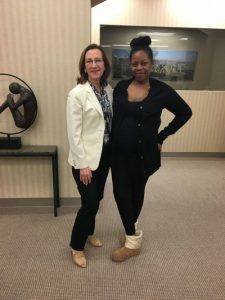 The defendant, unknown to A.G., jumped the curb, hitting A.G. and her two friends, killing one, and severely injuring the other two, including A.G. With the help of her mother, she was able to find the attorneys at Hill & Moin. While walking in his neighborhood Mr. W, a 50 year old teacher’s assistant, was suddenly and unexpectedly struck by a motor vehicle. As he was lawfully crossing the street within the pedestrian crosswalk and with the pedestrian crossing signal in his favor, Mr. W was knocked to the ground by a driver who failed to yield the right of way. Mr. W’s knee injury required surgery. F.M., a 69 year old man originally from Puerto Rico, living in Brooklyn, was walking alone on a windy day when he passed a townhouse construction site on Hart Street. The wind picked up, and a negligently repaired construction site door knocked him down, breaking his hip. After having dinner with friends at a well-known restaurant on Madison Avenue in the Upper West Side, M.M., an advertising account manager, suffered a trip and fall while exiting the premises. M.M’s fall resulted in a fractured elbow. After speaking with another attorney who was unable to help her, it was suggested by a seasoned attorney that she contact Hill & Moin. One morning, MH was walking along her neighborhood sidewalk in route to the bank. 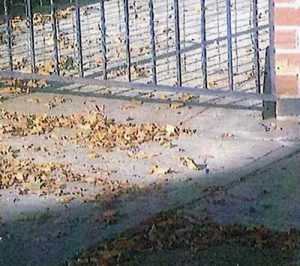 The sidewalk in front of MH’s neighbor’s home was covered in leaves, which made it difficult to identify that the sidewalk was uneven. Taken by surprise, MH tripped and fell when she encountered the uneven sidewalk. After she fell, MH was transported by ambulance to Montifiore Hospital where she was diagnosed with a fractured ankle.